Olivia is working hard at her computer in her bedroom. Help her robot Zobito use his special elevator and track to fetch tools and bring them down to her. Use the tablet to call friends and wish them goodnight before she settles down in her awesome rocket bed. In the morning, Zobito can make coffee at the breakfast station and wake Olivia up with breakfast in bed, ready for another day of scientific discovery! 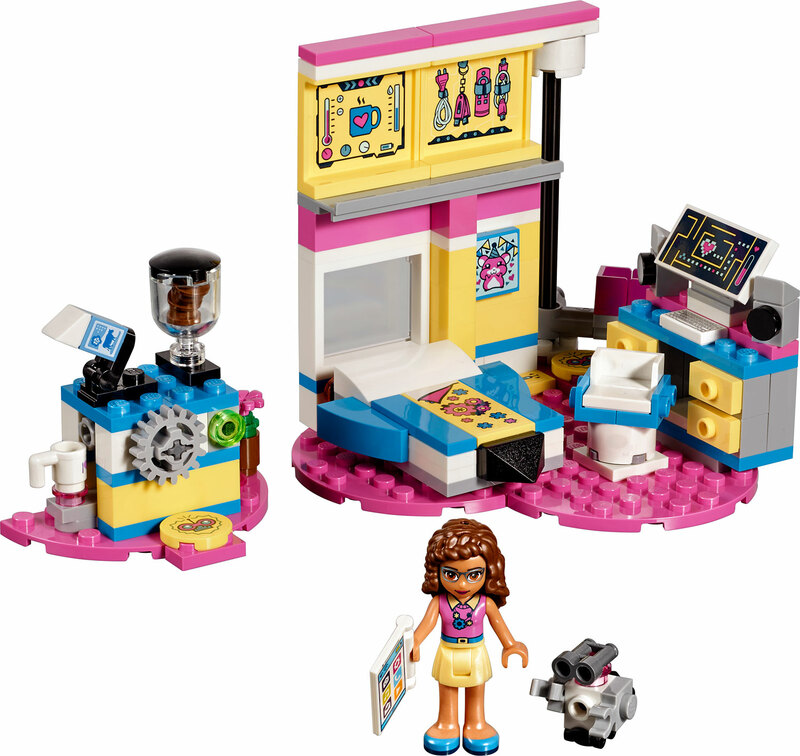 Combine with 41327 Mia's Bedroom and 41328 Stephanie's Bedroom to explore more LEGO Friends bedrooms and collect all the heart-shaped baseplates. Measures approximately: 7.52 x 5.55 x 2.40 inches..